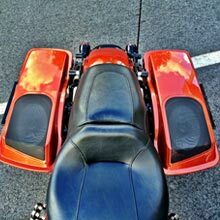 Get fairings that fit, inner speakers, outer speakers, and custom integration for your motorcycle. 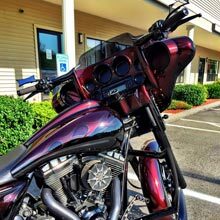 Our experts will install custom speakers to seamlessly match the overall look of your vehicle. Getting the sound you want and the look along with it does not have to be a hassle. You don't have to hear the wind whipping by, just the clear sound of music. Contact Infocus Mobile Audio today for custom fiberglass fabrication to make your speakers stand out with style and sound! Contact us today and ask about our lifetime warranty.